We’ve learned a lot this year. Thankfully, we haven’t uncovered all the strange little quirks in human decision making, so with every passing year, a few more insights come to light. 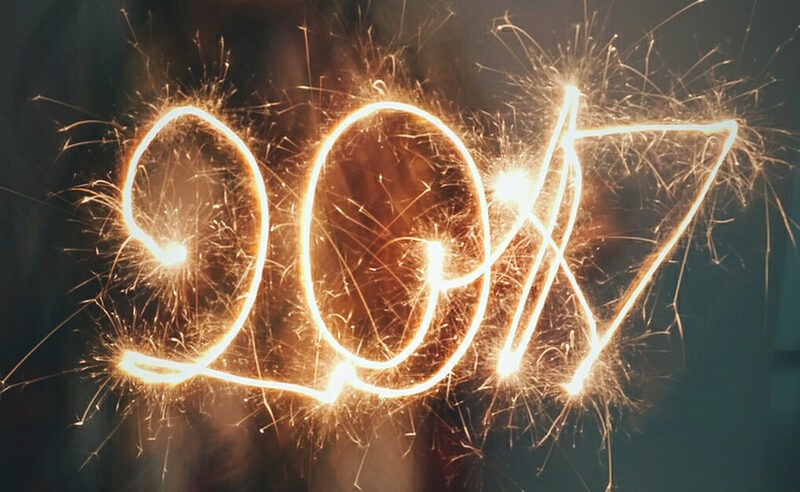 As 2017 comes to a close, we look back at some of the insights that made us think, laugh, cry, and question our own behavior—and look forward at how they will inform our work (and lives!) for years to come. As a gift to you this holiday season, we present our 5 favorite behavioral insights of 2017…for the many different areas of your life. It’s mid-December. How many vacation days do you still have in the bank for 2017? Using vacation helps us stay healthy, happy and productive, but if you’re like many other workers, you didn’t exhaust the paid time off available to you. One reason is that in the moment, work demands are clearer and more urgent than planning time off – “I’ll just think about my next vacation next month,” you said. And the next month comes. And the one after that. That’s why even with every intention to take a much-needed break, employees may defer planning until it’s too late to coordinate. In 2017, we designed ways employees (and their employers) can make taking vacation top-of-mind, such as building a discussion about PTO into performance reviews to make it feel more like a requirement, or setting reminders to plan time off in advance. Of course, we uncovered many other ways the modern workplace and behavioral tendencies can lead to overwork. Utilizing these insights can pave the way to better design and help people disconnect—a benefit for employees and employers. Read more about how flexible schedules interact with behavior. People around the world share concern for our planet, but our best intentions to be greener champions for the environment don’t necessarily lead to action. There are many reasons for this. One is that behaviors that impact the environment—such as recycling and turning down the thermostat—are often habits rather than deliberate choices – did you think about which bin you used for your lunch trash? Values don’t always impact habitual behaviors because they are performed automatically. What does this mean? Instead of only appealing to people’s values, conservation efforts should incorporate physical cues and other ways to disrupt habits—and form new ones that are good for the planet. And that’s not the only innovative way to promote sustainability with behavioral insights. We worked with the UN Environment Programme to outline how behavior interacts with environmental preservation—along with proven solutions that have made a difference across the globe. Read more insights about behavior and the environment from around the world. We don’t like to change our passwords, due in part to status quo bias (it’s also a bit of a hassle). It’s usually right after a breach that we make updates, and even then, we gravitate toward predictable passwords. In fact, 10,000 of the most common passwords can access 98% of all accounts. These tendencies leave our digital lives vulnerable to hackers (and for reference, replacing “S” with “$” counts as predictable). In short, we are the weakest link when it comes to cybersecurity. Using technological and behavioral solutions is key to protecting our digital lives. That’s why we investigated the most pressing cybersecurity problems, from weak passwords to lags in installing critical updates, through a behavioral lens. We developed actionable strategies for addressing these problems that can create an online environment better aligned with how people really act. So go change your passwords—or better yet, get a password manager that generates and stores secure logins. Read more about how human behavior interacts with cybersecurity. It can take hours to comb through personal finances and make a budget—and that’s not to mention the challenge of sticking to it each month. Our concept, The Feedback Card and App, scans transaction history to create a “safe to spend” amount for discretionary expenses, and the card has a “fuel gauge” to display what consumers have left to spend – a rule-of-thumb that’s a lot easier to do than sitting in front of a bunch of excel spreadsheets. These features help put money management into a human behavior framework (rather than the other way around). People who user-tested the concept asked where they could buy a Feedback Card before we finished showing them all the features. Given the demand for financial tools designed for behavior, we hope to see this product brought to everyday consumers–which is why we’ve made the insights open-source. Read more about the innovative Feedback Card. It’s no secret that we’re advocates for applying behavioral science to government programs. And while behavioral interventions have shown positive impact, they aren’t often directly compared to traditional policy tools. Until this year. A 2017 report calculated ratios of impact to cost for both nudge interventions and traditional tools like tax incentives. They found that behavioral interventions often compare favorably with traditional interventions. The authors concluded that governments should invest more in these innovative strategies, and called for more calculations to determine the relative effectiveness of nudging. Read more about the benefits of applied behavioral science for governments. And of course, there’s more to learn about human behavior and how we can help people turn their intentions into action, and many more interesting insights to come—so keep reading the blog in 2018 to stay up on the latest innovative ideas coming from behavioral science.